To this day, email marketing is still a popular, effective, and arguably the most profitable means of marketing online. Since you are here, you are probably looking to get started but not sure how to start email marketing. Well, you are in the right place. In this blog post, I am excited to share with you 6 things you need to know before getting started with email marketing. # 1: What Is Email Marketing And Its Benefits? # 2: How Email Marketing Works? # 3: When Should You Start Email Marketing? # 4: Broadcast vs Drip Campaign? Email marketing at its most basic level is simply the use of email to promote your business, a product, or a service. It's used to develop relationships with potential customers and keep them informed about your brand. Some people think email marketing is outdated and even dead, but they couldn’t be more wrong. Email marketing has been used ever since the introduction of internet. It has evolved considerably since then and is still an effective and useful marketing tool. You've probably heard that email marketing is an excellent way to build a relationship and trust with your readers. Well, it's true if you do it the right way. 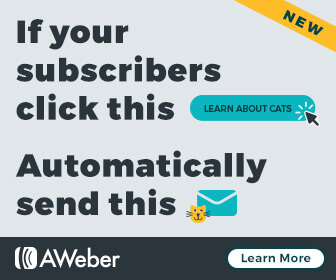 Spamming your links and constant promotion of your products are the fastest ways to get people to unsubscribe and to get people to stop opening your emails. There is a saying that people only do business with people they know, like, and trust. In order to get people to know, like, and trust you, you have to be sharing helpful and informative content with your audience. With that being said, I will briefly mention a couple of benefits of email marketing and why it's important to build a list. It's easy and low cost to get started. It helps to improve communication. It helps to increase website traffic. It can yield a positive return on investment. It strengthens brand recognition with new and potential customer. Now, Let me give you an example of why building an email list is important. OK, let's say if you are promoting a product or a service and you are just sending traffic directly to an advertiser's landing page. Guess what? You don't own that customer. That customer actually belongs to the advertiser. So If you are not building a list, you are going to leave a lot of money on the table. What you need to do is you need to create your own custom landing page (also known as capture page or squeeze page) and send traffic to your landing page to collect people's emails before sending them to an offer. When you have their email, that customer belongs to you. This will give you the ability to contact them over and over again, not only with promotions but also to offer valuable and helpful content to help build credibility and relationship in the market you serve. This will give you multiple chances to generate returns over time. You offer something for free, such as an eBook, a PDF download, or a video training course to attract people to give you their email in exchange for the free offer. People share their email address and name with you. You then have the permission to offer them more valuable and helpful content and ultimately promoting offers to them. As long as you build a relationship and trust with them by consistently offering value and less on pitching and promoting on your offers, then they will likely stay on your list for a long time. And this will give you the ability to continue contacting them over and over again. I am a visual learner. I believe having a visual will help you understand the email marketing process whole lot easier. So if you follow the arrows, first you have the website visitor, this can be someone coming from search, social media, or paid traffic. It doesn't matter where they come from, what matters is that they are there with the intent to consume your content. At the end of your blog post, you have an opt-in form of a free offer, like a free ebook or a free video training course. If they are interested in your offer, they will give you their email and name in exchange for that free offer. As you continue to follow the arrow, the next thing they will see after they opt-in is a thank you page. It will tell them to go and check their email to confirm their subscription. This is also known as double opt-in. Once they've confirmed the subscription, they will have the ability to download the free offer. Then the pre-written email follow up sequence starts. The first email can be set to be sent out immediately after subscribing. You can choose to set it up however you like it. You may set the second email to be sent out on the third day after subscribing or whatever day you choose. Then the sequence continues for as long as you have the emails written out. Before you start an email marketing campaign, there are three things you need to know. First, you need to establish a brand. Second, you need to have some traffic coming to your website. If your website is only a couple of weeks old, it makes no sense to start email marketing because chances are, your website will have little to no traffic. So you want to focus more on getting traffic to your website before you start email marketing. Just remember brand and traffic are sort of the prerequisites before starting email marketing. The third thing you need is to comprehend your audience. This is the most important and probably the most challenging thing you need. You might be wondering how do you comprehend your audience? Well, you can actually do that by looking at two sources. They are google search console and google analytics. By learning and understanding these sources, you can see how your audience reads your content and how they behave on your website. Let me give you an example. Let's say you have people searching for something on google, then a lot of them are landing on your blog post, and they are staying on the page for a long period of time. You find that out by looking at the data provided by google analytics. You can then create an offer for that particular page in exchange for their emails. It just makes sense to do that because these visitors wouldn't have stayed if your content wasn't providing what they were searching for. So putting an offer on that page seems to be the most viable place where they are likely going to leave their email. Just continue to produce useful content on a consistent basis. You will start to learn and understand what your audience like and dislike. Then you will be able to start your email marketing campaign and give them a tailored experience that offers everything they like. You might be wondering what are the differences between broadcast and drip campaign? In fact, they are similar in few ways but different in others. Below you can see the first three steps for broadcast and drip campaign are the same. They both start out with a user subscribing via opt-in form, they click the confirmation email, and then they will be subscribed to your list. Now the difference comes in at step 4. For broadcast, after someone subscribes, you manually send out emails to your list. There is no automation involved. You send out emails manually whenever you want to communicate with your list. For drip campaign, after someone subscribes, pre-written emails are then sent out automatically to your list. For example, after someone subscribes to your list, you can set email one to be sent out immediately, email 2 to be sent out 3 days after subscribing, email 3 to be sent out 5 days after subscribing, and this cycle continues for as long as you have the emails written out. Build a relationship and trust with your subscribers. When you want an automated communication system that runs regardless of what you’re doing. I am going to provide you with a list of email service providers. This is obviously not a comprehensive list but to give you some ideas of which is available. I will share with you the email service provider I personally use for my business. Feel free to download our "What to Write" PDF guide. This PDF includes our fill-in-the-blank email templates to make getting started with email marketing even easier. It's geared towards small business and brick and mortar business. Has Forever Free Plan as long as you have 2,000 or fewer subscribers. Just be aware that MailChimp has very strict policies, and they are not "affiliate friendly". If you are going to use MailChimp, be sure to read their terms and conditions carefully because you don't want to work hard building your email list and then get your account shut down and lose all of your hard work. It's an All-in-one online marketing platform to grow your business. I personally use Getresponse for my online business. I find it very easy to use. Their live chat and support are fantastic and their price is very reasonable if you are just starting out. Before setting up your campaign, you need to first sign up to an email autoresponder service. I recommend using Getresponse because I personally use it and I really like the service. Use this link to claim your 30-day free trial. It's used for organizing your campaigns. This is not a gmail or yahoo mail. If you want to be taken seriously professionally, having a professional email address matters. You need one that matches the domain name of your website. For example, my branded email address is hong@mysteps2success.com. Yes, that's is my real email. Feel free to send me an email if you have any question. Minimum of 10 emails is a good start. This is included in your autoresponder service. You can design it inside of your email autoresponder. Once you have your opt-in form designed, they will give you a code. Place that code on your website. "Sign up for my newsletter" is not sufficient in this day and age. You need to create an offer. Need help writing your first offer? I have a couple of articles to help you out. There are number of places to put your opt-in form, which I will be covering more about this in my next post. Stay tuned. To create a GetResponse 30-Day Free Trial account, with no credit card required, Click The Button Below! There you have it, 6 things you need to know before getting started with email marketing. I hope you enjoyed the article and found it helpful. If you did, please share this article with others who you think can benefit from this information. A share from you will seriously help a lot with the growth of this blog. I really do appreciate that. Feel free to leave any comments or questions you have, I will get back to you as soon as I can. Thanks for this piece. I’m bookmarking it for sure (as well as your previous post). Great pointers on how to come up with content for an ebook. I’m going to go through my posts and pages and see what I can come up with as it pertains to the chosen topic. The traffic on my site as diminished the last few weeks. So, I need to find a way to get my traffic back up. Joining socials and being active in adding new content with higher frequency should help with that and also get more subscriptions. Hey Brad, you are welcome. I’m glad this was helpful. In regards to traffic. I had the same thing happened to my other blog. I believe once you are back blogging and publishing more consistently. The traffic should recover. Let me know if you have any question. Nice article and very helpful content! I have had my website up for a number of months now and I feel I may start doing the e-mail marketing side of things. I will surely be back to know what I should be doing! Hi Brandon, thanks for checking out my site. I’m glad you found this helpful. Hope to have you back soon. I am fairly new to this too, so appreciate the information. I’ve heard about getting a email list compiled, but wasn’t sure how it was done. Thanks for the great info! Hi TJ, thanks for visiting and commenting. You are very welcome for the information. I’m glad this was helpful. Let me know if you have any question. Hey Hong 🙂 I loved your article because I really needed to know more about e-mail marketing since I’m not doing any yet. I’m familiar with A-Weber and have used that in the past. Mail Chimp is new to me and I believe it’s free. You laid everything out in a nice orderly fashion so when I’m ready I can follow your suggestions. Thank you so much! Hey Rob, I appreciate the awesome comment. I’m glad you loved the post. Email marketing is essential to every online business. You don’t own Facebook, Twitter, Instagram, YouTube, or google. Your SEO efforts can go to waste if Google decides to change their policy or algorithm. An email list is really the only thing you own and it’s not influenced by the decision of social media or SEO. So building a list is very important for your online business. I’ve started a website a couple of months ago, but only have about 10 posts and most traffic comes from my posting on FB groups. I was wondering if I need to start collecting emails, so your post came very handily. Looks like in my case it’s too early, and I’d rather focus on content. I’ve bookmarked your site to get back when I have more traffic. Just one question – do you think I should start even now with MailChimp as it’s free. Would it be easy to migrate to another platform later on? Hey Mary, thanks for visiting. I would focus on creating more content at the moment. Once you are starting to get more organic traffic and social media traffic, you will be able to determine what your audience likes and dislikes. You can then use that information to come up with an offer and use that offer to build your email list. In regards to Mailchimp, if it doesn’t take too much time to set it up, then you are certainly welcome to do so. Make sure you read their terms and conditions carefully, they are not the most affiliate friendly email marketing service out there. I used to have MailChimp before I switched over to getresponse. I had no issue with the migration process to getresponse. Since every email marketing service is different, I can’t really speak for other email marketing services. I can only share with you that I had no problem with getresponse. Getresponse is so far my favorite email marketing service. I would recommend getresponse to anyone who’s looking to start email marketing as their basic package is very inexpensive. I hope this helps. If you have other questions, feel free to send me an email at hong@mysteps2success.com or leave a question on my website. hi! Thank you for sharing your input on email marketing. I am new to online business and I was thinking of doing email marketing and thanks to you I understand now that this is not the best route for my new website as of the moment. Thanks! Hey Kris, you are very welcome. I’m glad this helped. Once you establish your brand, have some traffic coming to your site, and have some understanding of your audience. Then you will be ready to start email marketing. If you ever have any question, feel free to reach out to me. Thank you for the valuable information on email marketing. Now I know about the squeeze page. 🙂 It’s not too difficult to do. But, there are a lot of bogus emails floating around. Good luck!! Hello Maxine, you are very welcome. It’s good to know that you got value out of this article. Let me know if you have any question. Very informative article. Love the way you lay down the subscriber acquisition to follow up process in a simple visual. To me as a fledgling internet marketer the free resources are priceless. Thanks for sharing this priceless article. I’ll be back to your site for more. Hey Josh, you are welcome. I’m glad you got value out of this article. Thank you for such a thorough and informative post. I will definitely check back often as I build out my blog. Hi Nicole, you are very welcome. Looking forward to having you back on this site. Loved the article! Found it very useful! I am new to affiliate marketing but will be doing this hopefully in the future! Hey Chris, thank you for visiting my site. I’m glad you found the article useful. Hope to see more on my site. Hong, this is some great information on email marketing and presented in an easy to read manner. I will definitely have to write these tips down as I prepare to build my own email marketing list. From what I gather having an email list increases the value of your website/business. If I ever want to sell my site I will need a solid email list that I can incorporate. Thank You for your great tips. Hey Maryann, thanks for checking out my site. These are the exact email opt-in best practices that I use in my business. I am still doing some testing here and there to see what works the best for my business. In regards to the email list, you are absolutely right. Building an email list is crucial for every online business. An email list is really the only thing you own. Social media and seo can change their policy or algorithm anytime, but email list will not be affected by the decision of other business. Let me know how things go as you start to build your email list. Don’t hesitate to reach out to me when you have a question. Hey Lotta, thank you for the great comment. Hope to see you more on my website! Feel free to sign up for my newsletter. I send out new blog posts and resources on a weekly basis to help you build your business online. Wow! Fantastic laydown. This is very good information for anyone who wants to go in this direction. Thank you! Hey Skip, I appreciate the comment. I hope you found it useful. Hello Hong, I enjoyed reading your informative article. You explain things in a clear and simple way and you keep it real. I have run too many times in get-rich-overnight gurus, so reading such a well documented post is a breath of fresh air. As a budding blogger myself, I will definitely treasure your suggestions and keep coming for more.